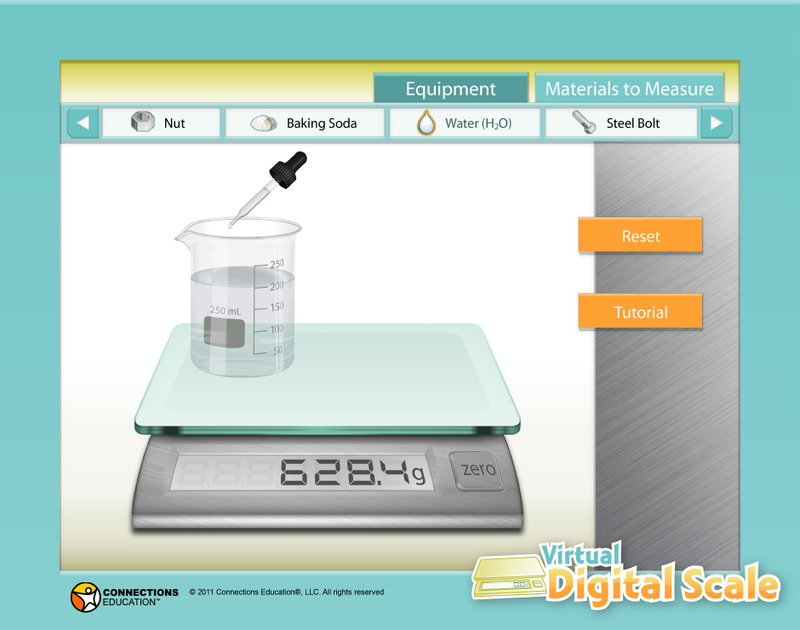 The Virtual Digital Scale is an interactive tool designed and built by the Connections Academy (CA) multimedia team to help students complete lessons on mass and volume. 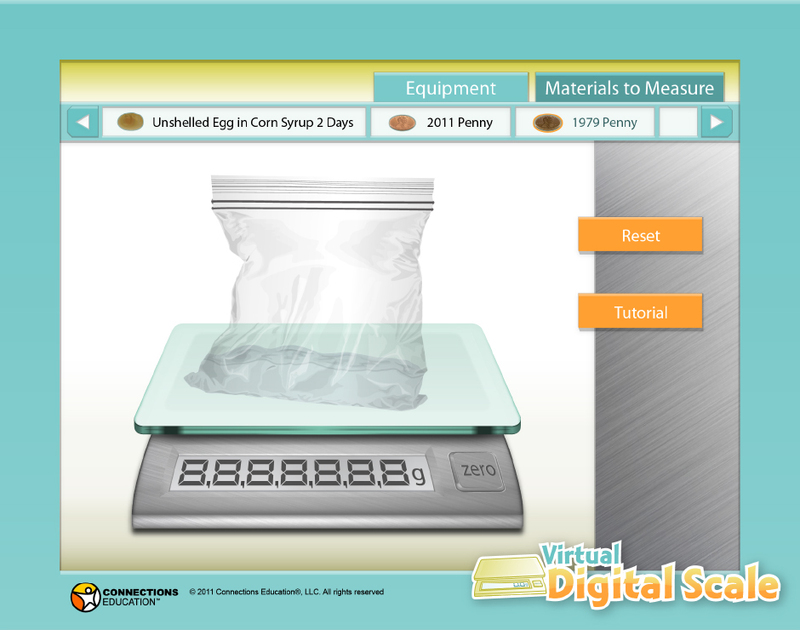 Students can select from various containers, zero the weight, add materials to measure, and add additional containers or materials, just as they might on a physical digital scale. Rachel worked on the user interface, designed the skin, and illustrated the scale and the majority of the containers and materials. The client’s artistic direction was to provide photorealistic illustrations. CA is a division of Connections Education (CE). 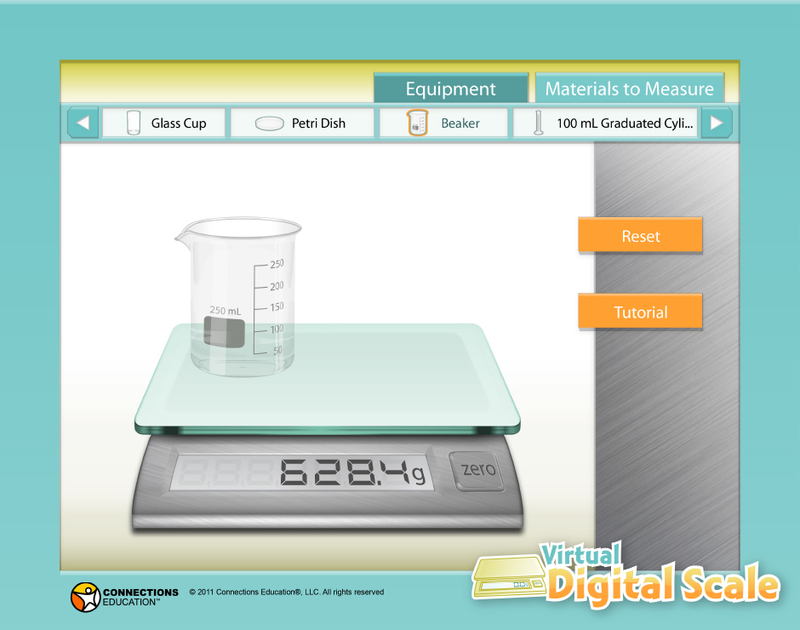 CE provides virtual education solutions for students in K-12. 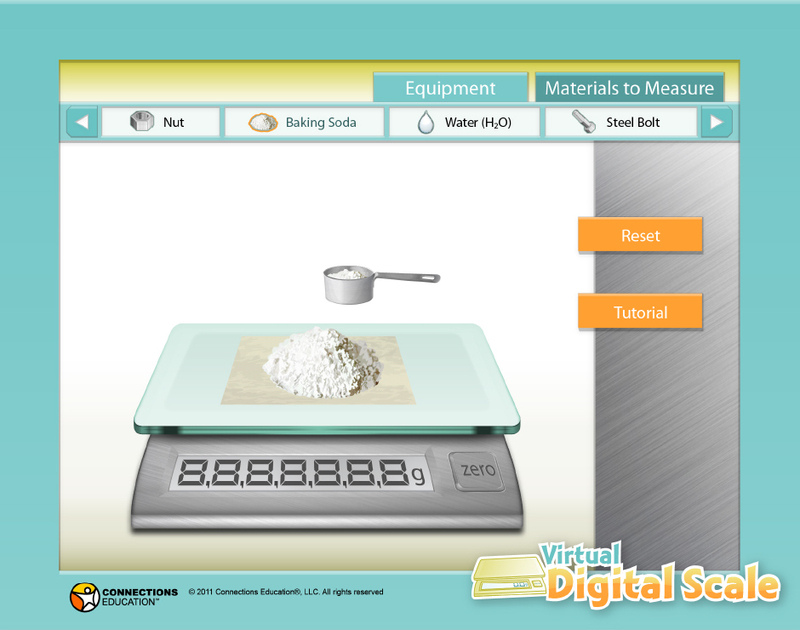 CE’s Multimedia Standards & Design (MS&D) team is responsible for producing interactive tutorials and tools designed to engage students and support online learning. MS&D is also responsible for creating all employee, student and parent trainings. 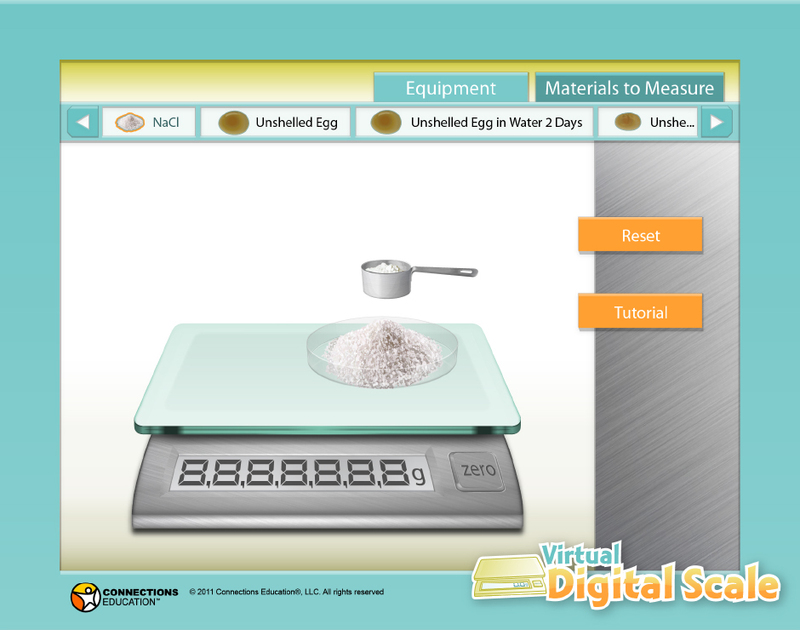 Screenshots of the Virtual Digital Scale with a variety of the equipment and materials I illustrated appearing on the scale. Note: A few of the materials, such as the penny, nut and bolt, were acquired from Shutterstock in the interest of time and ROI.